A slightly smaller set of reviews in the brand round-up this month, with more focus on the details. 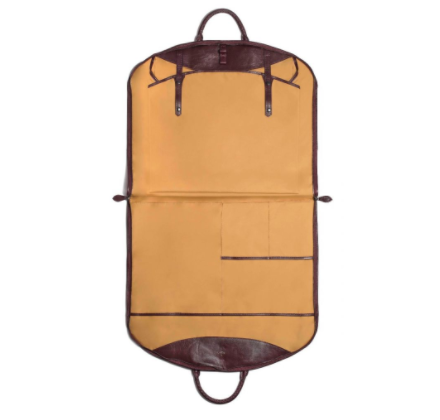 First up is this leather suit carrier - or garment bag - from Rubinacci, being offered by The Rake on their online store. The key aspects a suit carrier requires to be practical, in my experience, are lightness of weight and flexibility of use. As a suit carrier must be carried in the hand all the time, it cannot be that heavy. Most are not made in leather for that reason, and when they are the skin is often split so thin that it loses the leather’s natural appeal. 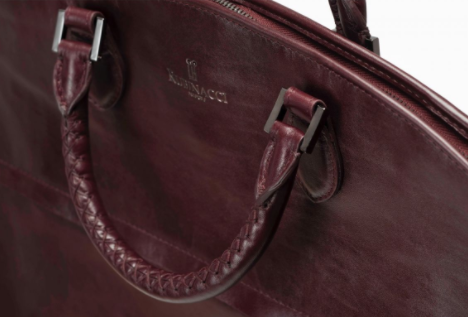 This Rubinacci version manages to find a good balance, being light in weight yet using a nice, veg-tanned leather. I have used it to carry suits to and from the office and never felt it is too heavy. The lining is not as appealing, being made from a slippery synthetic. And the method of inserting the suit is original but perhaps a little fussy (it involves four flaps, four straps, and eight button options). It can also realistically only carry one suit at a time. But the carrier does have a large variety of internal and external pockets that make it highly practical. Most of the time it’s worth avoiding carrying much more in your suit carrier than a single suit. If you don’t, the whole thing becomes heavy very quickly. 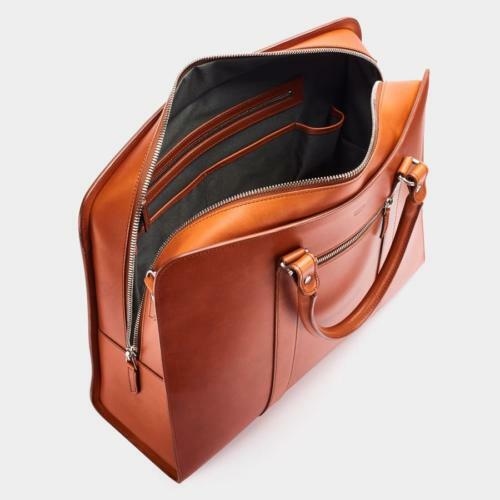 It’s nice to have the flexibility to put in a shirt or tie if you need to, however, and this Rubinacci version has four pockets of various sizes, a big zippered outside pocket, and a sleeve to enable the bag to be attached to the handle of a rolling suitcase. Both black and burgundy deerskin are nice, although I like the richness of the burgundy. While I can't see myself switching fundamental allegiance to another brand, I'm always interested in alternatives - for context if nothing else. 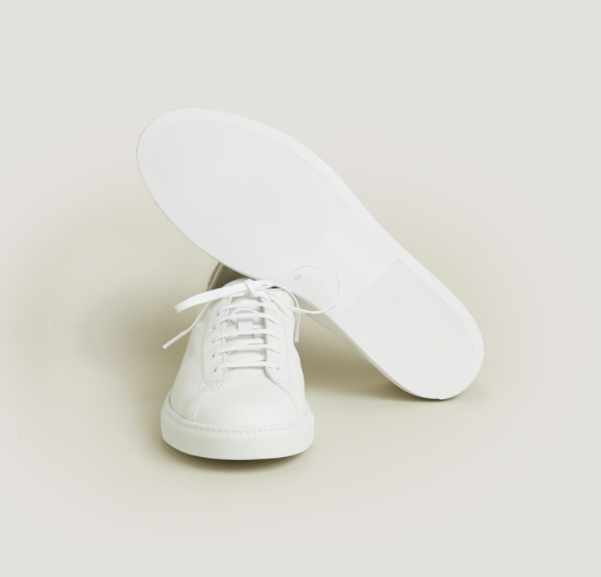 Most white trainers don’t offer anything different to Common Projects. Swedish brand CQP, however, does. Its Racquet sneaker is very similar to a CP in terms of leather and construction, but is unlined, making it softer and lighter. This feels lovely, as you have a much closer connection to the soft leather and the way it moves and moulds. However, the downside is that the upper is less smooth and smart (less of a problem with suedes) and offers less support to the foot. The last shape is also stubbier than a CP Achilles, making it more a casual court shoe than a dressier, loafer-substitute sneaker. CQP’s Tarmac model does have a longer last and is lined - but it’s also more of a mid-top. The Swedish brothers behind Carl Friedrik have had an interesting few years in menswear. Originally their brand was called Oppermann, and it made classic leather bags in Asia that were distributed through wholesale to various stores. After a while, they became frustrated with the wholesale model and wanted to do retail themselves - going direct to consumer and spending more on production. So they moved manufacturing to Italy and began selling online. Fortunately, the product is strong. 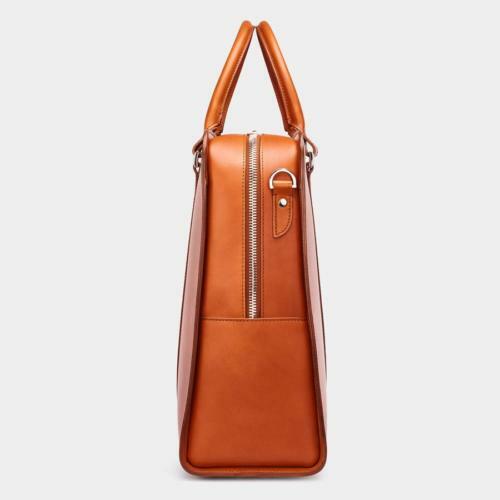 It is decently made from Tuscan veg-tanned leather, in Naples, with Raccagni zippers and a nice water-resistant lining. I particularly like the cognac colour, as it is the least treated of the leathers and therefore ages the quickest - in a similar fashion to the Hermes Barenia leather (though not of the same fineness). 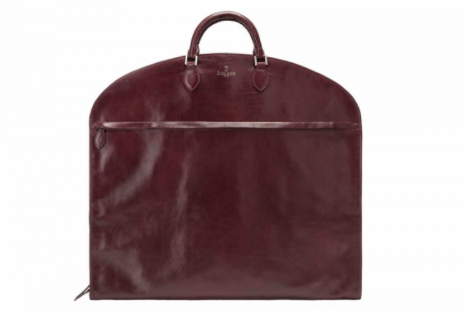 But I would highlight the way the Palissy 25-hour bag is designed to increase its capacity. It is slightly taller than most briefcases, but not much wider, and narrows toward the top. This makes for a bag that could easily cater to a single-night trip, but doesn’t look too out of place commuting to the office. You can follow the discussion on Brand round-up: Rubinacci, CQP and Carl Friedrik by entering your email address in the box below. You will then receive an email every time a new comment is added. These will also contain a link to a page where you can stop the alerts, and remove all of your related data from the site. Serious question – Does your suit come out of the carrier smelling of leather? 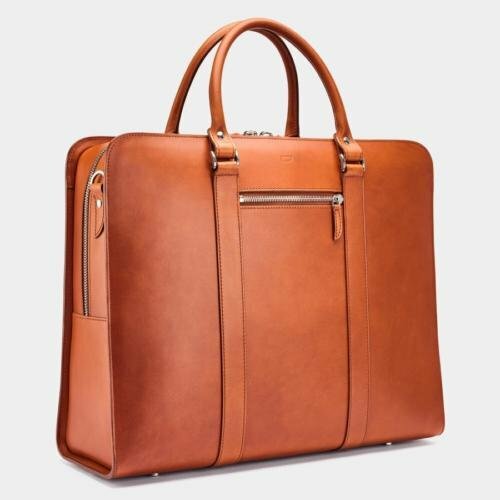 DIdn’t you do a review on the Troubador leather suit carrier a while ago? I can’t find it on their website anymore but I seem to remember it was lined with suede. Was it a better piece overall than the Rubinacci do you think? Does the Rubinacci mean you are no long using the Troubadour suit carrier (I don’t think you ever did a review). I always fancied that one, but wondered if that leather (although beautiful) would be too heavy. The perfect suit carrier for travelling (rather than commuting) is such a difficult thing to find and the prices seem to keep going up and up the longer it takes me to find the perfect one! I’ve been looking for a suit carrier which can do a two night business trip with a (large) briefcase and no other bag, but its difficult because that means a pair of shoes need to go in the suit carrier so it becomes heavier and bigger. Anything out there I am missing? Whilst is does not fit the luxury/artisan category Simon, I can recommend you take a look at Gate 8. They have a folding suit carrier which does the job well and has ample room for shoes. Can some suit carrier’s make materials such as wool bobble? Not usually, no. The interior material should be made from something with minimal friction. I am sure the Rubinacci carrier is a work of art, but it is totally useless as a suit carrier. To protect a suit, or suits, and to be kind to the contents, a suit carrier needs to be soft, supple and flexible, otherwise it will actually put unwanted creases into the content. So leather just doesn’t work. Canvass or cotton, quite loose in fit around the suit, will do a much better job. You wont get the luxury, nor will you pay the ludicrous price of this example, but you will get a far superior outcome. Be sensible and ask yourself what the product is supposed to do, and you will easily come to a better outcome than spending £1200 on something as useless as this. Thanks, and I generally agree that leather is not the best material functionally. I also make no defence of the price of this piece. But it is soft, supple and flexible. 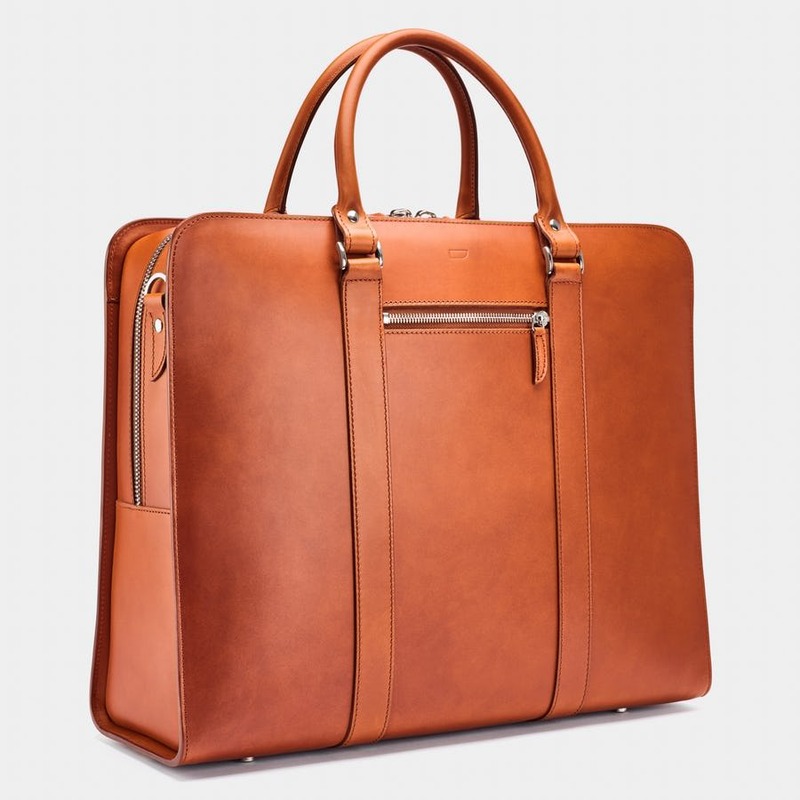 I can also vouch for the Palissy, which I purchased in dark brown (chocolate) back in its Oppermann vintage. Its size makes it quite unique at its price point (when I shopped around in 2015)—competitors are usually smaller and unsuitable if work involves carrying documents in addition to a laptop. It’s construction has held up to weekly use (many flights) over the 1.5 years since its purchase. They also hold a generous sale around Thanksgiving w/ an economic VAT policy for US customers. Do you know of anywhere in London where I can see CF bags in person? Thanks Simon for the recommendation of Carl Friedrik & Ben for the heedback from a user’s perspective. Looks very good & pricing is reasonable. I definitely appreciate their transparency in sourcing/supply chain information. Do you find that Carl Friedrik’s general quality is very good? I’ve always loved their ‘minimalist’ design. I’m looking at purchasing the Vallance in black but not read too much in the way of reviews. Cheers, Marco. It’s solid, and good value for the money. I can second the positive comments about the Palissy 25, and CF generally having now also bought the Valance. Their pop up in Royal Exchange carries a good supply of examples in most if not all colours. 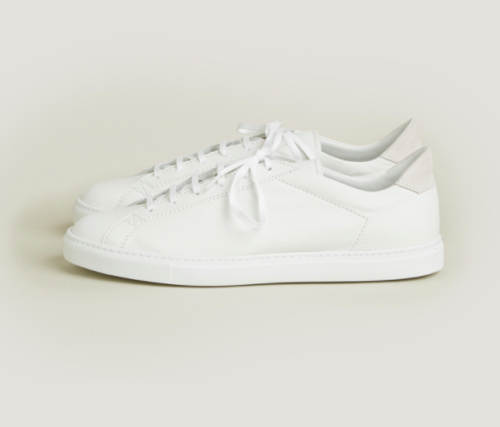 And as for the trainers, an interesting alternative if the common projects are too, er, common is Zespa. I’m not a fan of the coloured versions but I still love my plain white and plain black ones, although the latter pair don’t get worn at all these days sadly. Have to say I’m a little surprised you’re still so enthusiastic about Common Projects. Their shoes have become outrageously expensive over the past few years, and there seem to be plenty of alternatives like Kent Wang, Gustin, and even Massdrop (I’m waiting for my pair to be delivered). I’ve no problem with paying for quality but do you really think CP are worth 3x the price?